Mabel Hurd Walker Herrick (Mrs. Charles E.) was born September 16, 1866, in Clinton, New York, and was graduated in 186 from Rockford College, Rockford, Illinois, with a degree of A.B. In 1888 she received her Masters Degree. She was married to Charles E. Herrick, of Rockford, Illinois, March 21, 1887, where they made their home until 1900, when they moved to Chicago, Illinois. They had one son, Alexander Walker Herrick, who died July 13, 1913, at the age of sixteen years. Mrs. Herrick has served her College as President of the Alumnae Association; President and Director of the Student Aid Association; President, Treasurer and Director of the Rockford College Association of Chicago, and also a Member of the Board of Trustees of Rockford College, which office she still holds. Mrs. Herrick was a member of the Auburn Park Thirty Club, and while a member was Vice President Third Congressional District of the State Federation of Woman’s Clubs. Her church affiliations are Congregational, and she has been active in church and Sunday School work. She is a charter member of the Chicago College Club, and has served the Club in many official positions. Mrs. Herrick joined the Daughters of the American Revolution through the Rockford Chapter in 1895, with a national number of 9031. She was Corresponding Secretary of that Chapter before she moved to Chicago. She first joined the Chicago Chapter as an Associate Member, and later became an active member. Her services in the Chicago Chapter have been Treasurer, member of the Board of Directors, and of various Committees. From 1930 to 1922 she was Regent of the Chapter. During her term of office the five Chicago Chapters entertained the State Conference, and she served as the Chairman and Toastmistress. Mrs. Herrick was State Regent for Illinois, 1923-1925. During her Regency she served as Toastmistress at the Banquet of the National Organization at its 33rd Continental Congress and Toastmistress of the National Officers Club at its banquet in April, 1925. She served as a member of the first Building Committee of the N.S.D.A.R. for the New Auditorium, 1924-1926; Vice Chairman Constitution Hall Finance Committee, 1926-1928; State Chairman Constitution Hall Committee, 1925-1927; Member of the Building Committee of eleven to erect Constitution Hall, 1928-1929. The State organization during her term as State Regent raised the funds to build the library at Tamassee [DAR School]. The State Chairman of Patriotic Education, Mrs. William L. Pattison, and the State Regent attended the dedication of that building at Tamassa [sic]. Mrs. Herrick was very active in helping to put over the first observance of “Defense Day” in Illinois. 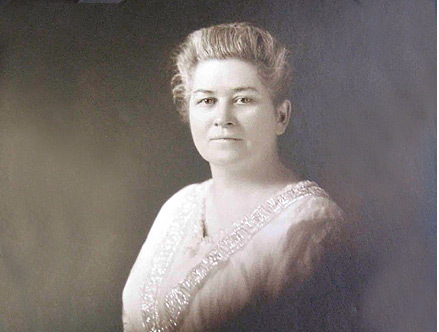 The “Julia Green Scott Memorial Scholarship” was raised during Mrs. Herrick’s term as State Regent; also a large part of the scholarship at Schauffer Training School – and the State Student Loan Fund was established. Mrs. Herrick is also a member of the following organizations: Daughters of Founders and Patriots of America, United States Daughters of 1812 (Honorary State President), Daughters of Colonial Wars, Daughters of the American Colonists, The National Officers Club, D.A.R., The Yorktown Association, The Woman’s Roosevelt Republican Club.